The Irish Cola gets its name from blending Irish whiskey and Baileys Irish Cream with cola. You probably could’ve guessed that on your own. This drink has a rich taste with notes of fruit and almond, and a little hint of smoke from the Jameson. Now, you don’t have to use Jameson if you have another Irish whiskey you like. I wouldn’t waste a fantastic single malt in a cocktail. Pick a good, drinkable blended. I’ve become fond of Teeling Small Batch, which is lighter on the smoky flavor, compared to Jameson, and has some lovely sweet apple notes. Bushmill’s Original is also a little bit less smoky, and brings notes of spice, vanilla, and oak to the drink. As for Irish cream, the recipe calls for Baileys but you could also use Carolans, which is stronger on the caramel notes. For the cola, I don’t think the brand matters too much, but I do recommend sticking with regular sugared colas as opposed to diet. This drink needs a little sugar. This drink is very nice for relaxing and winding down, and even makes a great nightcap. But you can also enjoy it with a meal. Because it’s a little bit like a cross between a cola and a milkshake, in terms of flavor and texture , it works well with diner style foods. Try it with these Philly Cheesesteak Sliders from Home Made Interest. The savory flavors will contrast nicely with the sweetness of the drink. Or you could upgrade your standard hot dog recipe with The Best Hot Dog You Will Ever Eat from The Food Charlatan. 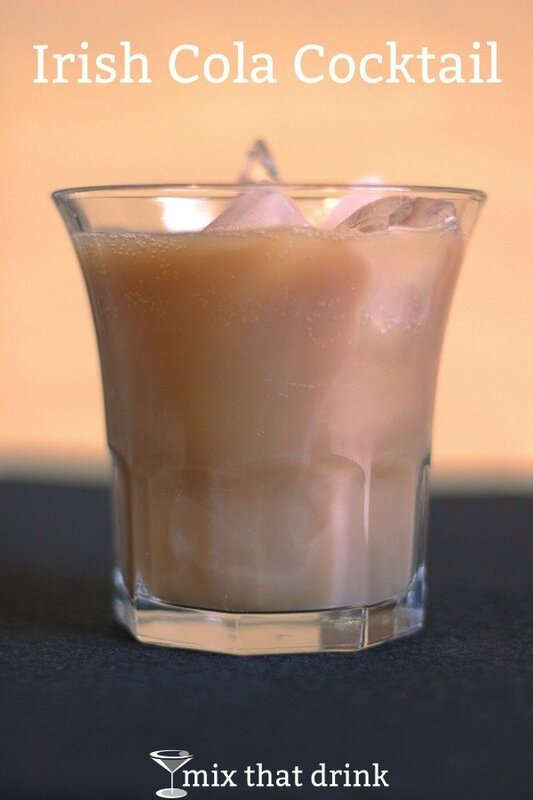 The Irish Cola drink recipe blends Irish whiskey, Bailey's Irish Cream, and the cola of your choice. It has a rich taste with notes of caramel, vanilla, honey and almond, and a touch of whiskey smokiness. Pour in the Irish whiskey and Bailey's. Fill the glass the rest of the way very slowly with cola (pouring slowly should prevent curdling). Tried this recipe and the mix curdles after adding the coke zero, I assume it being coke zero rather than coca cola isn’t the problem. The drink wasn’t strained though so could but I dont see how that woudl change anything as the curdling only occurs after adding the coke. I don’t think straining would help either. I’ve never had that happen with regular Coke or Diet Coke. I’m not sure what’s in Coke Zero, but maybe something in it causes that. When Baileys first came out you could mix it with cola. It didn’t curdle. I worked in a well known disco in London and served many a Baileys and coke. When I moved to Tenerife I ordered this drink and of course it was curdled. I made them open at least three bottles and always the same result. Why? Is it possible that something is added for export reasons which makes the drink spoil with soda? That’s odd – I live in the US, and I’ve never seen it curdle with cola. But yeah, it is possible the formula is a little different from region to region. This is a favorite drink of mine. I’ve had it curdle at some bars but not at others. Go figure. Idk if I did something wrong but it curdled INSTANTLY. Friggin wasted the last of my Jameson. Ouch, sorry to hear that. I’m not sure if you’re saying it curdled when you shook it with Jamesons or after you poured in the coke. I haven’t run into this myself, but Baileys and coke is apparently a known issue: found this thread where people talk about it happening. 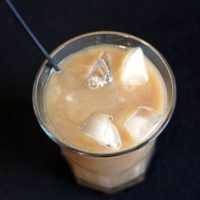 The top answer is that “you have to pour the coke in after the Baileys and pour it slowly.” Since this recipe has you mixing the Baileys and Jameson’s together first, I’ve added the instruction to fill it with coke and pour very slowly. If you’re saying the Baileys curdled with the Jamesons, that shouldn’t have happened unless the Baileys was off. Baileys IS just Irish whiskey and cream, mainly, so adding more Irish whiskey shouldn’t curdle it.